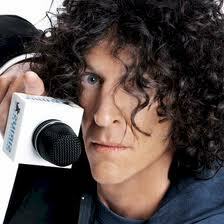 A few friends of mine have, for the longest time, told me that I should write on Howard Stern as a schlemiel. It’s been on the back of my mind for a while and I do listen to his show from time to time, but I’ve always been a little ambivalent as to how he could be seen as a schlemiel. After all, schlemiel’s are usually very humble and are not as rude as he. But then again, we have the Borsht Belt Comedians, Lenny Bruce, Larry David, and, of course, Phillip Roth’s Portnoy (of Portnoy’s Complaint) all of who are considered by this or that scholar to be schlemiels. That said, I finally had an opportunity to do some in-depth listening to Howard on Satellite Radio as I recently drove across one part of America. And, lo and behold, I found evidence of the schlemiel on several levels. Most importantly by way of what Ruth Wisse, in reference to Sholem Aleichem, calls “indirection” and through an identity that is, in many ways, parallel to Phillip Roth’s Portnoy. I tuned in to Howard’s news part of the program in which Robin Quivers reads a news item and Howard gives commentary. The first thing I heard was a report by Robin about how the second in command in Al-Queda, Said al-Shehri was killed by a drone. Instead of speaking about drones, Howard launches into a reflection about how much he loves films where commandos go in and kill terrorists. Then he praises the commandos in the American military and says he wishes he could be one of them. Responding to this, Robin says why don’t you or why didn’t you join the military? Howard answers: “I can’t. I’m only ‘half-a-man.’” He repeats a few times with something of a shoulder shrug and moves on. To be sure, the claim that the Schlemiel is a mouse and not a man is an American one. In his essay for the collection Too Jewish? Challenging Traditional Identities edited by Norman Kleeblatt, Maurice Berger writes of how this “half-man” stereotype made its way through TV and film in the 20th century. But he concludes that the stereotype had nearly disappeared in the 90s and that things had been changing. But the schlemiel as half-a-man lingers on after the 90s. To be sure, the Schlemiel as half-a-man is also posed by Woody Allen by way of Jason Biggs in the 2003 film Anything Else. We see a good example of it in this series of scenes. As you can see, Jason Biggs is the one who says that, in the face of men, Jews have wit. But it is Allen who turns the car around and does damage to the car of the two aggressive men. To be sure, Allen, like Stern is also obsessed with being thought of as half-a-man. But, this is only one part of the schlemiel-complex, so to speak. More interesting is how Stern deals with the “heavy news” items; he changes the subject to something he’s more interested in: Sharknoado (2013). Stern loves the name and the B film concept and the absurdity of sharks flying through the air attacking people. He can’t get it off his mind. He plays a piece called Tardnado which is a parody of this film that was sent by one of his fans. As one can imagine, with a title like this, the audio includes screaming people who are mentally challenged who fly at people. When the “important” news items come up, Stern sometimes launches into his interest in Sharknado. Other times, he’ll pick out something that is a seemingly arbitrary aspect of the new event and talk about it thereby deflating whatever media-hype it may have. When Robin notes that Stevie Wonder has refused to play in Florida, Howard says”mmm hmm” and takes a call from Ralph who talks with him about Sharknado. They talk about how ridiculous the premise is and enjoy this for a minute or two. This indirection shows us that film is of more interest to him than Wonder’s boycott. In response to hearing Robin’s news on Al Sharpton’s National Action tour in the name of Trayvon Martin, Howard also moves by way of indirection and discusses Sharpton’s new girlfriend with Robin. After doing this, he passes on to how Al looked better when he had more weight. In other words, aesthetics in the media eye is of more interest to Howard than politics. After saying this, Howard talks about the heat and air-conditioning and moves on to talking about his mother and her complaints. He does a few comic imitations of her to drive it home. This act of imitating his mother has great resonances with Portnoy who basically does the same thing throughout the text. This routine of struggling with the mother was, according to Donald Weber, one of the main feature of Borscht Belt and post-Borsht Belt schlemiel-comedians. Weber, like Berger, thinks it has changed with Marc Maron whose comedy is not based on such resentment. However, as we can see here, it carries on into Howard’s performance. Most importantly, Howard’s obsession with his mother, Sharknado, or about this or that detail, seem to work to distract him from the world and the political. And his admission that he is “half-a-man” seem to give us a reason for this need to distract himself. However, this is, as I have been stating, what seems to be the case. What makes Stern so interesting is that we all know he is living a normal life with a high profile model. And even though he often jokes about his sexual performance, the audience sees him as a man-of-sorts. But this is what gets the listener. The overlapping of the distracted schlemiel and the real Howard Stern who has the power to spur millions of his listeners to this or that political action creates a fascinating figure. The end of this segment, when seen in contrast to what was said before, discloses this figure. What I find interesting about Stern is that he moves in and out of the Schlemiel persona. And he does so for certain reasons. It seems this above comment on the Rolling Stone cover was his “superman” moment since it is couched in the midst of his self-deprecation (“I am half-a-man”) and his numerous indirections (about Sharknado, Al Sharpton’s girlfriend and how Sharpton appears on camera, and imitations of his mother kvetching). Regardless of whether or not you agree with what Stern chooses to emphasize, I think I learned and you have seen how, at least in this instance, he plays the schlemiel and what this may imply. I hope to, in the near future, come back to Howard’s Schlemiel persona. My friends were right. Stern does play the schlemiel. And, as I’ve shown, this performance, when it is at its best, traverses the edge of the political.